Abstract. 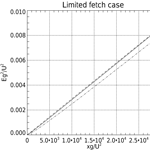 The new Zakharov–Resio–Pushkarev (ZRP) wind input source term Zakharov et al. (2012) is examined for its theoretical consistency via numerical simulation of the Hasselmann equation. The results are compared to field experimental data, collected at different sites around the world, and theoretical predictions based on self-similarity analysis. 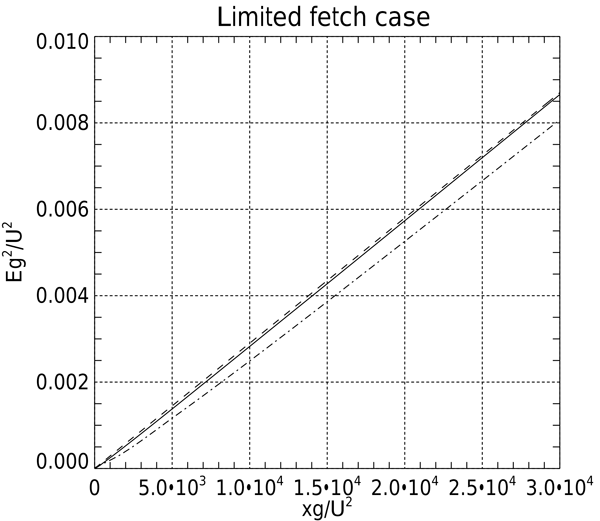 Consistent results are obtained for both limited fetch and duration limited statements. How to cite: Zakharov, V., Resio, D., and Pushkarev, A.: Balanced source terms for wave generation within the Hasselmann equation, Nonlin. Processes Geophys., 24, 581-597, https://doi.org/10.5194/npg-24-581-2017, 2017.